Belfast is anticipating a record 285,000 cruise passengers this year, with 151 vessels calling at the port. The number of ships visiting the port will be up 31pc on 2018, said Cruise Belfast, the partnership between Belfast Harbour and Visit Belfast. Maritime Voyages’ new ship Vasco da Gama. Thirty-five separate lines will call at Belfast, with Cruise and Maritime Voyages (15) and Princess Cruises (13) making the most visits. Costa line will call at Belfast for the first time while the number of calls from Celebrity Cruises will double to eight. Norwegian Cruise Line is expanding its visits from one in 2018 to 11 calls as part of its strategic growth plans for the Northern European market. 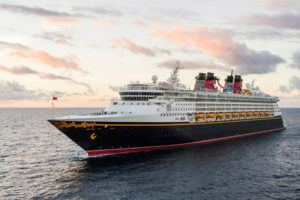 Mr Robinson said Belfast is now the third most popular destination in Ireland and Britain for one-day cruise ship calls after Dublin and Orkney. is homeporting in Dublin this summer.